Indianapolis Power Washing is the first choice in Greater Indianapolis for house washing, driveway and sidewalk cleaning, roof cleaning, to fulfill all of your commercial and residential pressure washing needs, in addition to our seasonal gutter cleaning. 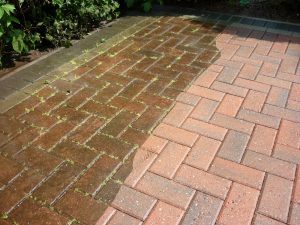 The team at Indianapolis Power Washing have been handling exterior cleaning for years and was born right here in the Indianapolis area. We use only the highest quality cleaning products and equipment in order to satisfy even the most particular client. We work to rid your home and driveways of mildew, algae, and mold, that can build a colony in your home, roof, or sidewalk. 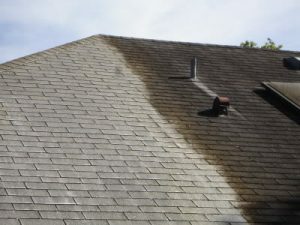 Many people have replaced a roof that could have been saved by a quality power washing. If you are thinking of selling your home or commercial property, a visit from Indianapolis Power Washing can add to the curb appeal thus making a fast sale and in some cases bring a better price. These harmful contaminants can also cause allergies to pets and your family. We offer commercial services as well as residential power washing so call us today for a quote and let us spray the dirt away. If your roof needs more than a cleaning or your house needs painting, we can offer some local companies that we trust.